Doug - Thanks for making me sound so good. With a long list of accomplishments, Kevin is earning national recognition. 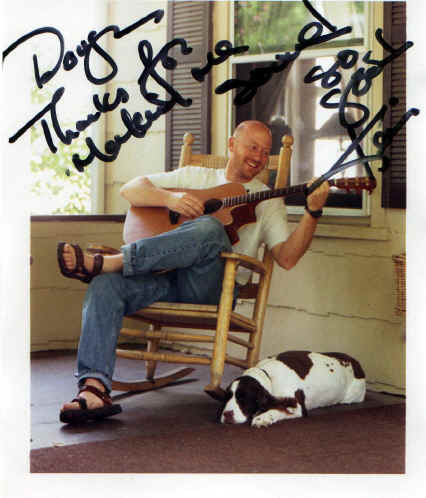 He is a two-time finalist in the prestigious Kerrville New Folk Contest (1997 & 1998). He was awarded runner-up in the 1998 Unisong International Contest for best song in the Folk/Country/Blues category. The Newport Folk Festival and BMI were equally impressed with his work; showcasing him at the 1999 North American Folk Alliance in Albuquerque, New Mexico. which is receiving national airplay. His voice is honest, and his performances are intimate. His study of songwriting began at The New School in New York City under one of Nashville's premier writers, Hugh Prestwood. His style is spiritually founded, and rooted in real life. His songs are honest and accessible. What differentiates Kevin from the sea of singer/songwriters out there is his emphasis on the song. His passion is in the story telling; each verse carefully crafted, each word hand picked. His voice is all about honesty. His performances are intimately understated, allowing the song to stand in the spotlight. He makes you feel like you're in the comfort of your own living room, and at the end of his shows you know who he is. 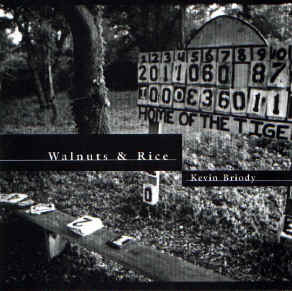 Briody's songs have been published by the likes of Almo-Irving, Famous Music, and Warner/Chappell. Much of his time is spent between New York and Nashville, writing, performing, and recording. The list of places where he has performed is like a "Where's Where of American Folk Venues": The Kerrville Folk Festival (Kerrville TX), The Bluebird Cafe (Nashville, TN), The Bitter End (New York, NY) The Iron Horse (Northhampton, MA), Eddie's Attic (Atlanta, GA), The Towne Crier Cafe (Pawling, NY), and most places in between. He was raised and still resides in Ridgefield, a small town in southwestern Connecticut. He and his wife Lynne, have three children, Terra Lynne, Casey Jane, and Cavan.